Interstate 4, or I-4 as it is commonly called, is Orlando's primary interstate highway. I-4 begins in Tampa, runs northeast across the middle of the state, cuts through Orlando and ends in Daytona Beach. This is an East – West Interstate, which can at a time be confusing because it really travels southeast – northwest. 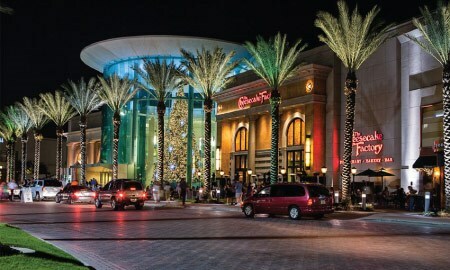 I-4 connects many of Orlando's suburban and downtown apartments as well as numerous theme parks. It also serves as the primary way to Tampa so it commonly has heavy traffic congestion. If you do not enjoy sitting in traffic you may want to avoid this road at rush hour. East-West Expressway or (Toll Road 408) is another major east to west highway that can be used as an alternate to I-4. The E-W Expressway meets I-4 at downtown and also runs through many of Orlando’s suburban apartments. The Expressway serves the University of Central Florida (UCF) area and connects to the Greeneway and Turnpike. This is a toll road so definitely look into a SunPass if you will be traveling on a regular basis. Beachline Expressway or (Toll Road 528) will get you in and out of Orlando International Airport and is a primary route to the Atlantic coast. The Beachline is a great way to get to Cocoa Beach and Cape Canaveral. Central Florida Greeneway or (Toll Road 417) is a primary road for Eastern Orlando apartments and commuters. The Greeneway connects to the E-W Expressway, the Beachline and I-4. Daniel Webster Western Beltway or (Toll Road 429) is a primary road for Western Orlando apartments and commuters. The DW Western is a great “secret back way” into Walt Disney World from the northwestern Orlando apartments. This road is usually lightly traveled compared to some of the better know highways mentioned above. John Land Apopka Expressway or (Toll Road 414) is relatively new addition provides service for the northern Orlando apartments. The JL Apopka Expressway connects to US 441 and SR 429. The Florida Turnpike begins at I-75, northwest of Orlando, and ends in Miami after traveling most of the southeast coast of Florida. While not a common route for travel around Orlando, it is a great access highway if you are planning to travel north or south of Orlando. Highway 192 runs through the southern Orlando apartments in Kissimmee and connects to Walt Disney World. Highway 192 also connects to I-4, Greeneway, Osceola Parkway, and State Road 441/17-92. Like most cities, Orlando has numerous well maintained smaller streets and roads. These can be great alternatives to travel from your apartment. There are lots of them, so bring a good map, and give yourself plenty of time when exploring. But as long as you keep track of the main roads discussed above, you should easily be able to find your way.